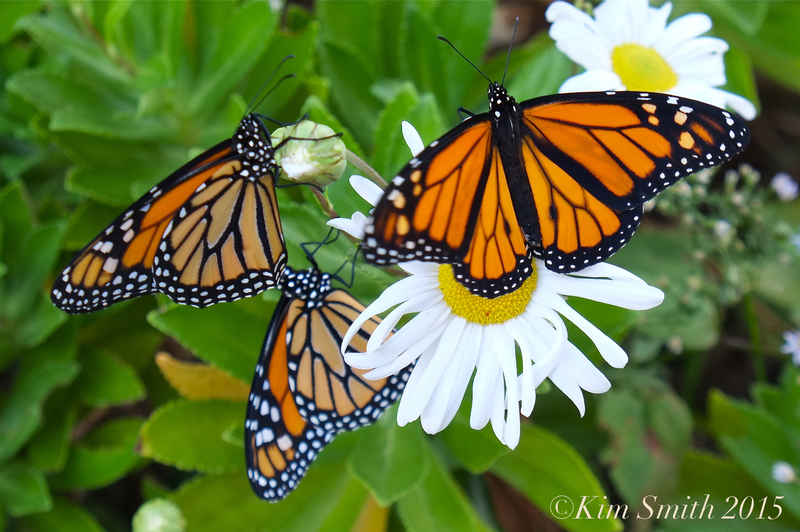 Our last batch of Monarchs emerged from their chrysalides, dried their wings, and caught the tailwinds to Michoacán. I hope they arrive to their winter roosting sites at the trans-Mexican volcanic mountaintops safely! 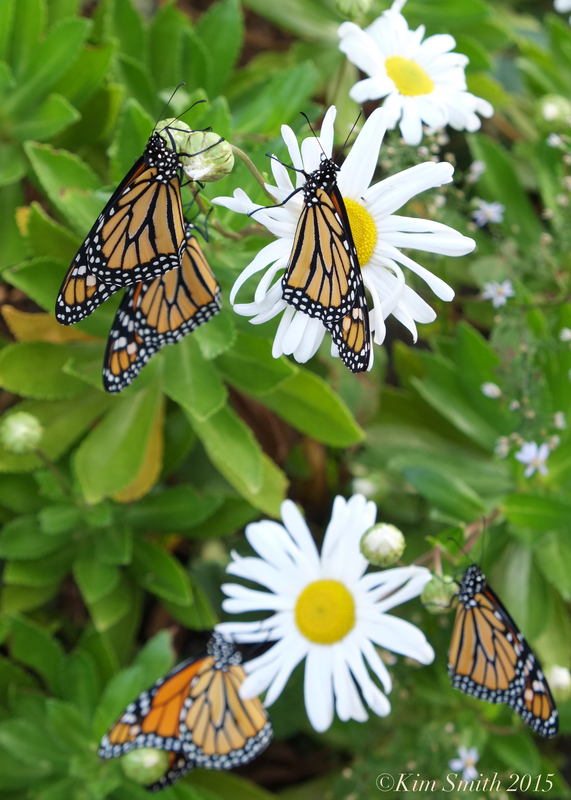 Although not many migrating Monarchs were reported on the shores of Cape Ann, a great batch was seen migrating over Lake Erie in late summer. Cape May, which is 400 miles south of Cape Ann, also had a strong showing. 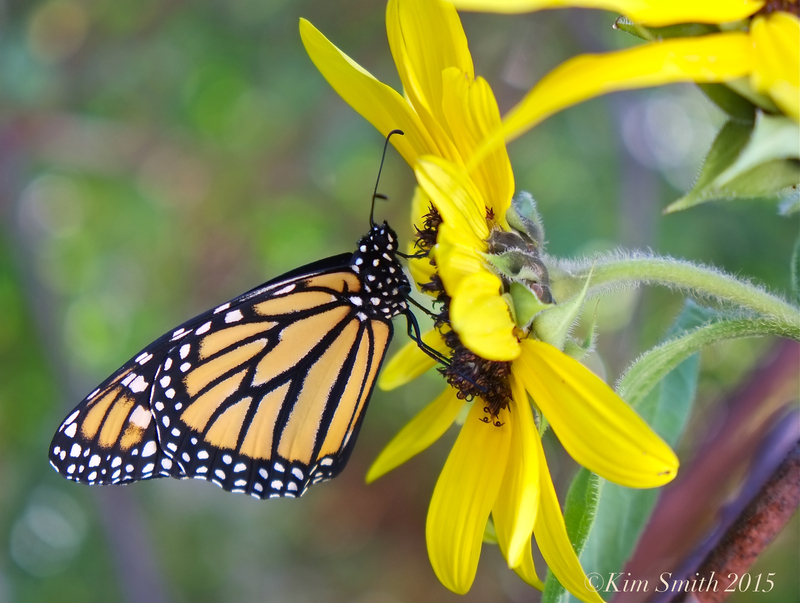 Keep on the lookout though because on Election Day in 2007, I photographed a Monarch refueling at Korean Daisies. 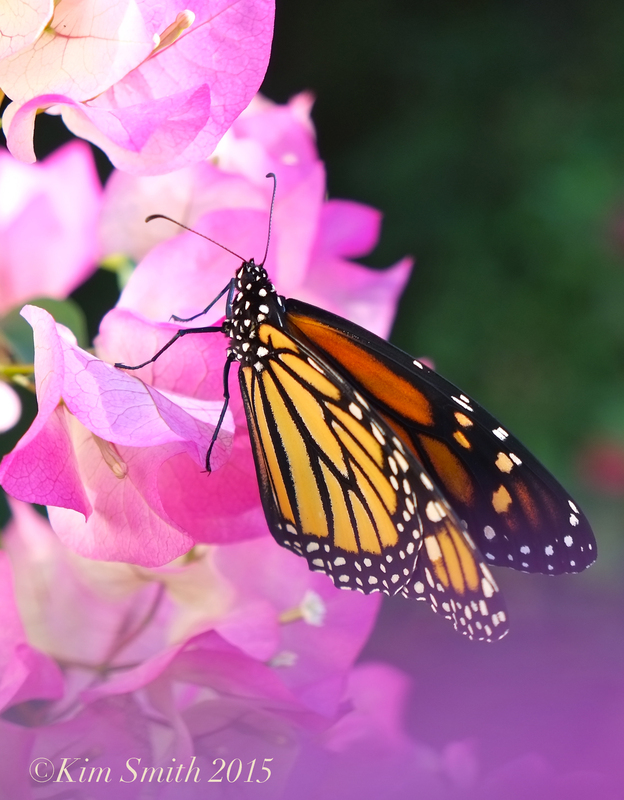 The Monarchs are counted by the Mexican scientists in December and the numbers released in January. Last year a tiny increase from 2013 was noted (2013 was the year the lowest numbers were ever recorded). Lets keep our hopes up that the population will continue to improve. 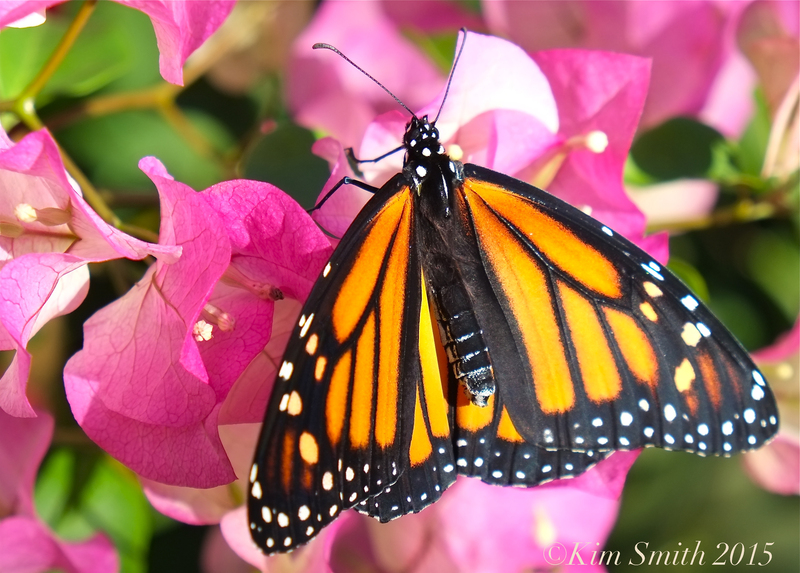 This entry was posted in Gloucester Massachusetts, Monarch Butterfly, Monarch Butterfly in Crisis, Monarch Butterfly Migration in crisis and tagged Cape Ann monarchs, Methuselah Monarchs Heading to Mexico, Michoacán, monarch bougainvillea, Monarch Butterfly (Danaus plexippus), monarch butterfly sunflower, monarch fall migration on November 6, 2015 by Kim Smith.